Do You Need a Buddy? Jacuzzi Perth asks us. Yes! Everyone needs a buddy. The world is a dark and scary place but it tends to be less so when you have someone to lean on. And hey, it doesn’t even have to be a romantic buddy, it could be your dog or a good friend like Scott Brown – hi! 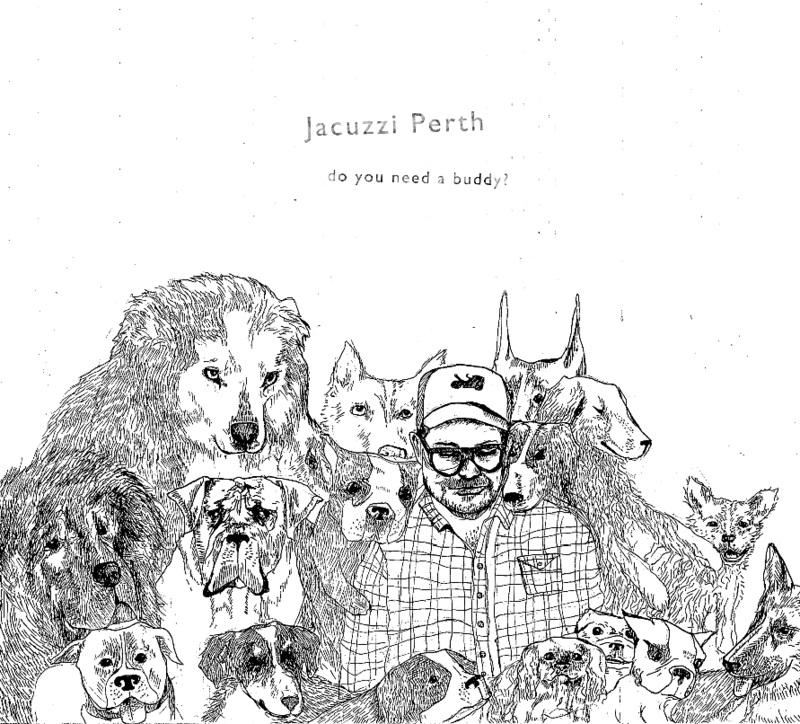 – like Jacuzzi Perth has so wonderfully depicted in the album art for their EP. The deliciously bummer track “Put You On” is the EP’s highlight. The instrumentals mix of distortion and delay makes a thick coat of grime, the same grime that has colonized the room of our protagonist. As things get more grungy, it becomes clearer the reason for the depressive state of “Put You On”: a girl that lingers in the back of Allison’s head, out of arms reach, but spinning around and around like a record. Grab your buddy and some buds and put on Jacuzzi Perth. Things will probably feel a lot better. Do You Need a Buddy?